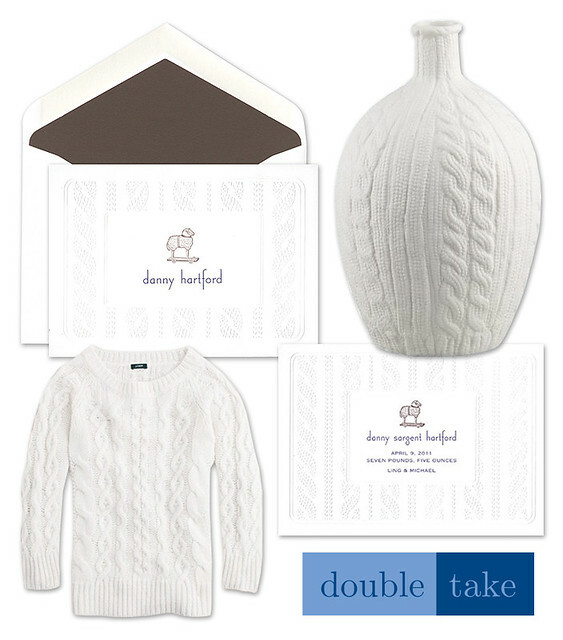 The cute cable knit pattern on these note cards and birth announcements by Prentiss Douthit must have been inspired by comfy cable knit sweaters. This vase also takes cues from the style. A cable knit look is perfect for the winter months - whether you're wearing it, using the style in home decor, or choosing the pattern for your winter baby's birth announcements.